Come join us for this fundraising event that benefits the American Cancer Society Relay For Life team of Anne Arundel Striders Run Club. Runners, walkers, and jogging strollers are all welcome. No pets please. Packet Pick up will be offered! The course map is posted. 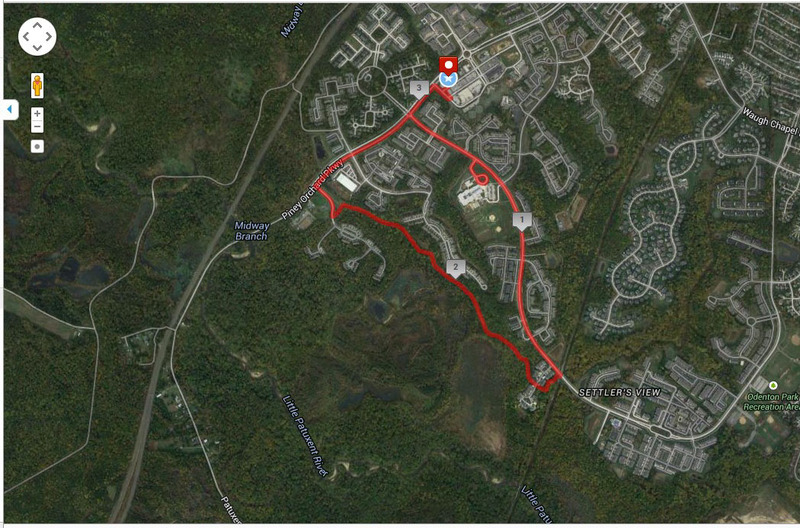 The start/finish line is in the parking lot of the Piney Orchard Marketplace, where Food Lion and Dunkin Donuts are located on Piney Orchard Parkway. Friday, March 16, 2018. 10:00am - 7:00pm. 5 Start Nutrition. 2649 Annapolis Road, Hanover, MD 21076. 443-274-2716. Saturday, March 17, 2018. 10:00am - 6:30pm. 5 Start Nutrition. 2649 Annapolis Road, Hanover, MD 21076. 443-274-2716. Sunday, March 18, 2018, 6:30 am at Piney Orchard Marketplace. Must have Photo ID for packet pick-up. You may pick-up other packets, in addition to yours. To do so you must have copy of their photo ID, electronic or paper. We will NOT have bag check area the morning of race. We will have race warm up with trainer before the start of the 5K race at 7:15 am. Pacers will be available for the 5K race. For safety we ask that all those with strollers start the race at the back of the pack. Awards/Raffle will take place after the 1-Mile Kids Fun Run at approximately 9:00 am. Race sponsors and other vendors will be at Start/Finish Line area.